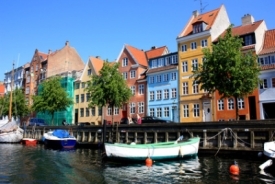 Cruises from Copenhagen depart from late spring through early fall. Copenhagen is the lively capital city in Denmark with storybook charm. Tourists will want to view the Little Mermaid statue, inspired by the fairy tale; visit Tivoli Gardens, the world-famous amusement park; and witness the changing of the guard at Amalienborg Palace, the residence of the members of Europe's oldest royal dynasty. The best excursions feature these major attractions, as well as the Kronborg Castle in nearby Elsinore, the setting of Shakespeare's "Hamlet." Take the Metro from Copenhagen Airport to Nørreport Station. Change to S-train A, B, C or E-line and take the train 1 stop to Østerport Station. From here there are 15 minutes walk to Langelinie or to Nordre Toldbod. From Copenhagen Airport: Get on E20 and continue to København S, København. Take exit 20-København C from E20. Continue on Sjællandsbroen to København SV. Follow O2 to Sundkrogsgade. Continue on Sundkrogsgade. Take Baltikavej and Oceanvej to Oceankaj in Nordhavn. Getting from Copenhagen Airport to Oceankaj/quay by metro and train: Take the Metro from Copenhagen Airport to Nørreport Station. Change to S-train A, B, C or E-line and take the train 2 stops to Nordhavn Station. From here there is a 45-minute walk to Oceankaj. There is extremely limited public transportation to get to Oceankaj/quay, however the No:26 local tourist bus does run through the port area.